Karen Carolonza is a Public Relations and Communications professional that adds more than 20 years of global experience in the healthcare, chemical and TV news industries to the Board of Mary’s Place by the Sea. Her background in healthcare communications spans a wide range of leading global health issues and therapeutic areas, including Oncology, HIV/AIDS, Diabetes, Infectious Diseases, Cardiology, Ophthalmology, Women’s Health and more. Her dedication to healthcare advocacy has been a constant throughout her career and she makes it a priority among team members at her own company, Green Room Communications. Karen served as a volunteer on the CDC Foundation to advocate for Health Protection Goals and is currently a member of the ExlPharma Public Relations Steering Committee to advance healthcare communications issues. She also serves on several nonprofit boards and committees, including the YMCA, Soft Bones Foundation, Progeria Foundation and the Medical Needs Foundation. Before starting Green Room, Karen held progressively senior roles in public relations at BD (Becton Dickinson & Company), the Pharmacia Corporation (now Pfizer), DuPont-Merck (Now DuPont Pharmaceuticals) and Exxon Chemical Company. 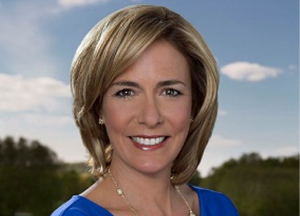 Karen spent the first part of her career as an NBC affiliate television news reporter in the Midwest and East Coast, reporting on key healthcare and political issues. Karen currently resides in Mountain Lakes, New Jersey, with her husband and three children.